This post contains affiliate links. It costs nothing to you to click, but can add up so I can purchase a new book. Sometimes shopping for tweens can be difficult. They seem to be on that cusp of wanting toys and outgrowing them. You don't want to get anything that they deem "babyish" but at the same time you'll burst into tears if you hand over lip plumping stuff from Kylie. I have several affordable selections that I am actually getting my daughter. My daughter loves crafts, so I knew she'd enjoy the Pom Pom Wow. You can create colorful poms. If your daughter likes the starter set, there are other fun sets to continue the fun. You can purchase the Pom Pom Wow here. I've written about her love of Shopkins before. She's a fan of any Shopkins set. This is one of the new ones. You can purchase it here. Again, since she loves crafting, I figured she'd enjoy designing the Barbie dresses. I have a feeling her Barbies are going to be very...uh...colorful. You can buy Barbie Be A Fashion Designer here. I'm hoping she learns to sew so she can fix our ripped clothes. This looks like it will be a blast for kids. You can buy the Sew Cool Machine here. Traysaurus and the Enchanted Crystal book. If your kids watch YouTube, they probably watch Dan TDM. Well, he's written a book. I wrote more about that book here. Natalie loves it! You can buy it here. Toys from Justice. Clothes from Justice. There is so much you can purchase at Justice. This tiny dog is from Justice. Natalie has several of them. I wrote how to score a Hatchimals. But really, as I said before, your kid won't be lost if they don't get one. I promise. Do you have a tween in your life? What are you getting them for Christmas? I opened all the links!! I hope this will get you closer to your book!!! Hugs and kisses!! These are perfect for teens and they are not that expensive. 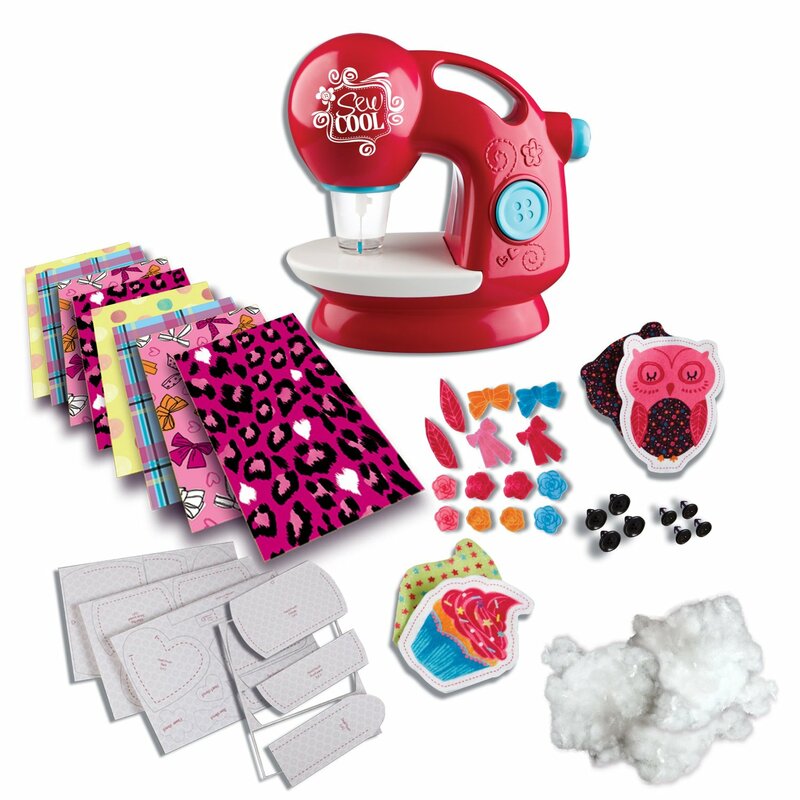 My niece would love to get the Sew Cool Machine. She likes to make tiny purses for her and her classmates. Great ideas all around. And yes, this Hatchimals craze is over the top. My daughters searched high and low for one, but according to the manufacturer, there won't be more made til the new year. I'm sure if they'd known how Hatchimals would catch on that they would have manufactured many more. I've seen them on Amazon for over $200 Canadian. Greed seems to run rampant in some cases, but although the ones selling them way over priced are making money because folks will buy them, it's so unfair and unkind to gouge people for their hard earned money. These are truly some lovely ideas, I do not have any tween nieces or nephews but I remember that age and how difficult I was to shop for. As my siblings get older it get harder for me to get them gifts too. This year I got them things they can make. No one's too old for crafts. My niece had that sewing machine and she loved it! I am passed the tween stage. I do have a 6 yo that likes Shopkins. She also wants a Hatchable that she may just get after the holidays. 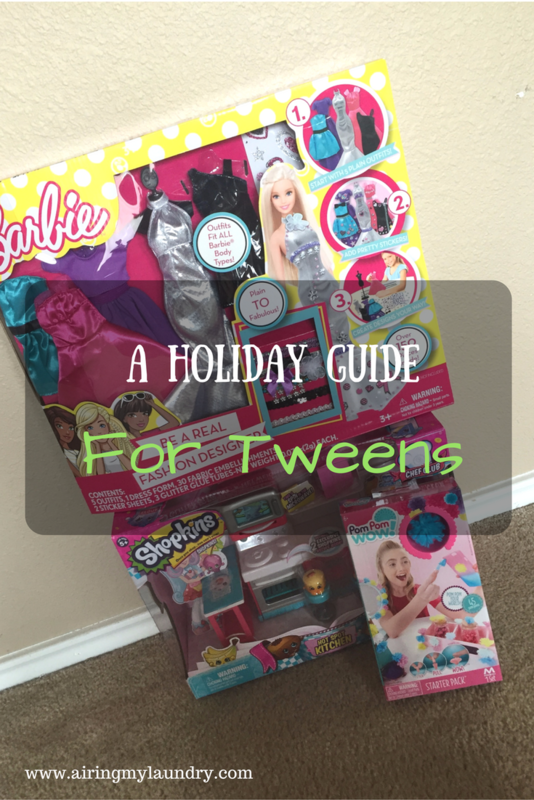 This is a great gift guide for Tweens! I find it tricky to navigate this age group, as my oldest enters it! Thanks. I unfortunately don't have any tween girls to buy presents for but this looks like a rocking list! What a great list! My tween niece would love everything on it! Haha my friend just wrote a funny status about how her kids are freaking about those Hatchimals things. 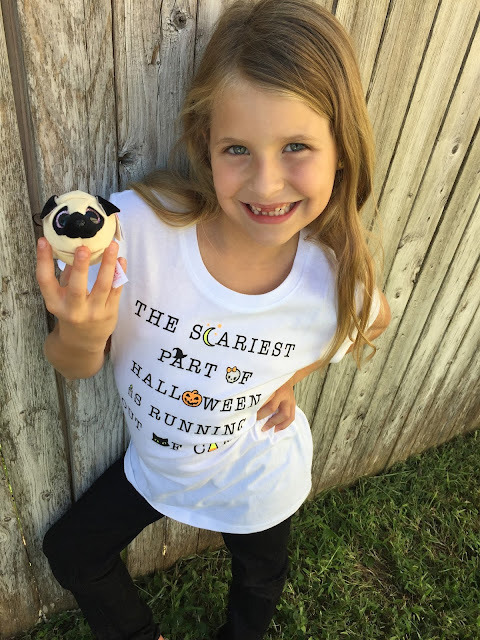 Tweens are so incredibly hard...to shop for to live with ;) I love this list of fun stuff to get them! Some inspiration! I dont have a daughter to buy this for but I like the toys and they would make great gifts for children of friends or for nieces. Cute ideas! I mostly shop for adults, but will keep this in mind for friends. Thank you for these great gift ideas. I never know what to get my tween niece. I think she really might like some of these gifts. Love these gift ideas! I have a few more years before I deal with tweens. I like giving my girls arts and crafts stuff though, because it helps develop their creativity! My tween nieces can be hard to shop for. These are awesome gift ideas that I know they would love. Such cool stuff! My son would love the crystal book. I like the dress designer kit. Shopkins and Barbies are always a winner! And that sewing machine is so cute! My twins are 5 but are obsessed with Shopkins! I've been thinking of getting them these on Christmas! My baby sister would love these gifts, I'd check some of them out! These are all great gift ideas, my 7 year old daughter would love most of them! These are great gift ideas.... my niece is obsessed with Shopkins.... so it gives me something to get her for Christmas! Great ideas, I have one tween and this is going to be helpful as she wants a surprise! Thank you! Isn't it so funny how each kid gets a sa different? Thanks for the suggestions. We don't have a tween, ours are 4&2. I like this gift guide. This really is the hardest age to buy for. It wasn't long ago that my lil sis was there. I think they start developing a fashion sense here too so maybe clothes? I see a few things my nieces would love to have for Christmas. I do still need to buy for them. Okay number four can be for a 27 yr old mom right? I so love that. Great gift ideas! What a fun gift guide! My tween is into everything that she can make, or be done on her phone too. This is very fun. I haven't gotten to shop for a tween girl yet but it looks great ideas. These are great gift ideas! My 6 year old wanted a Hatchimal, but I couldn't find one around here or online! Good to know for when my baby girls become Tweens! Sewing is already on the list. Important skill to learn as I never did but wish I would have. This looks like a great gift for tween girls. Nice gift idea. I very much agree that shopping for tweens is not an easy task, particularly when you are trying to deal with toys and crafts. These are some great gift ideas for tween girls and could be the best for Christmas shopping too! Shopping for tweens can be pretty difficult but these gift ideas are fantastic. These are some great gift ideas. The Pom Pom Wow looks interesting. I really like the Sew Cool Machine. Great gift ideas. How quickly they become tweens and beyond. Great gift guide! My 3 year old would love most of these as well, especially the hatchimal. This is a great gift guide--I especially love the sewing machine. I think you might have a future fashion designer on your hands. Also, I cannot wait to hear about the Hatchimal!